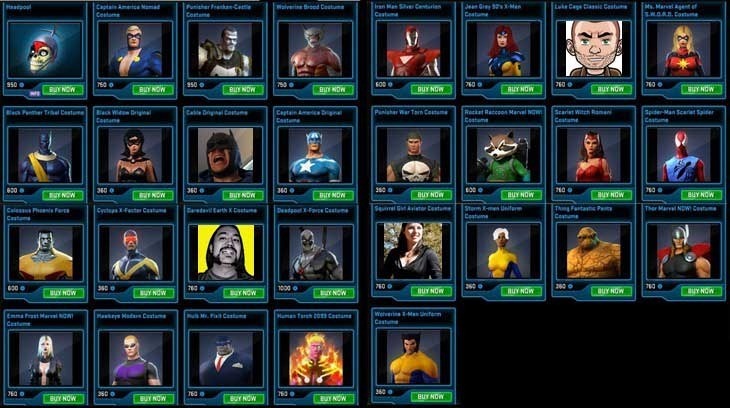 Win with Marvel Heroes 2015! Well it’s official! Marvel Heroes is now Marvel Heroes 2015, and to celebrate, we’re giving away some prizes. Thanks to the fine folks over at Gazzillion Entertainment, we’ve got codes to give away that will unlock a random hero for free in the game. That means that you won’t have to slap down some dollars to buy the Omega-Level threat-killer Squirrel Girl, or have to work for some Eternity Splinters in order to get some Deadpool action going. So how does it work? Just leave a comment below, and once I’m back from E3, I’ll mail you a code once I’ve asked MODOK (Mental Organism Designed Only for Klicking) for 20 random winners. In the meantime, go to the Marvel Heroes 2015 website and grab the free game to see for yourself what a year of development has added to the title. Oh, and these codes can go to almost anyone, thanks to the wonders of the digital age. You can be South African, Canadian or Russian and we’ll send you a code. No Skrulls allowed though. Not after what happened in New York. Also pay attention to my Twitter and our FaceBook page. There’ll be more codes available on those channels.